Vintage toys vector illustrations pack. 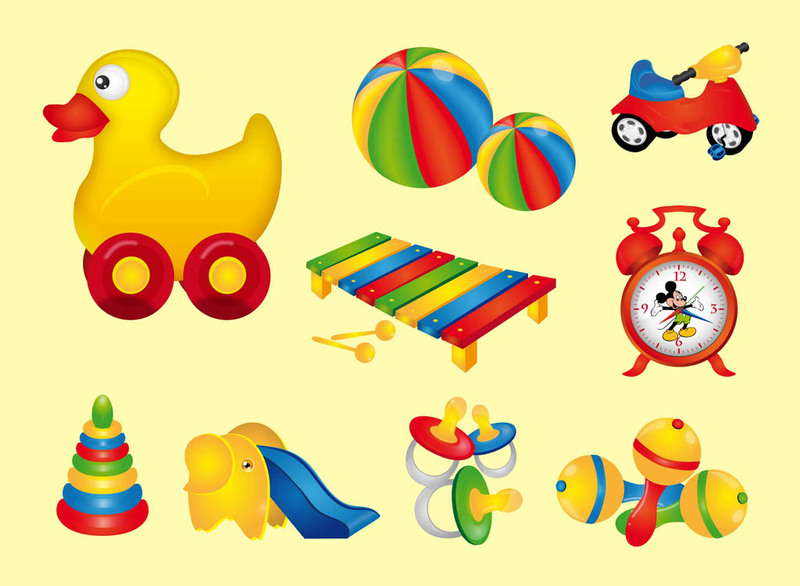 Cool playtime footage pack with pacifiers, beach balls, toy bike, elephant slide, musical instruments, alarm clock with Mickey Mouse image, plastic rings and a toy duck with wheels. All toy designs have bright colors and a glossy shade. Free vector footage to create toy store and kindergarten graphics. Tags: Clock, Duck, Kindergarten, Pacifier, Play, Slide, Toy Shop.